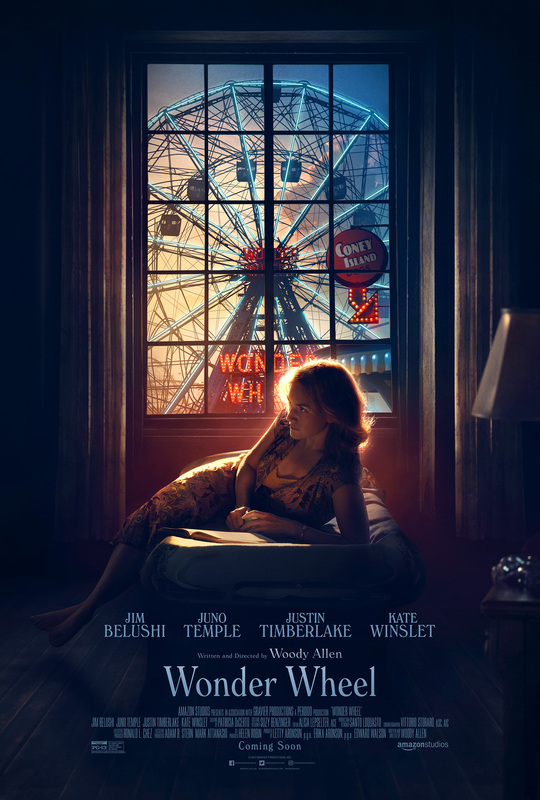 Wonder Wheel has some nice attributes, but probably skip it unless you’re a die-hard Woody Allen fan. The rhythm and cadence familiar to WA moviewatchers is there, but the story is not particularly original or deep. The “Mapping” I wrote of earlier is definitely employed again here. As with Irrational Man, in the early going especially it can seem contrived. But then — quickly — it all begins to gel. I look forward to WA’s annual offering because of that special feeling you get with his films, but more broadly, it doesn’t matter if his latest film seems like a bit of a re-tread, a mapping of some other of his movies onto this year’s dinner table. With a WA film, you’re automatically guaranteed to be transported to a whole different ballpark, one that so many lesser filmmakers can only dream of entering. And that’s why he always attracts the biggest A-list stars. 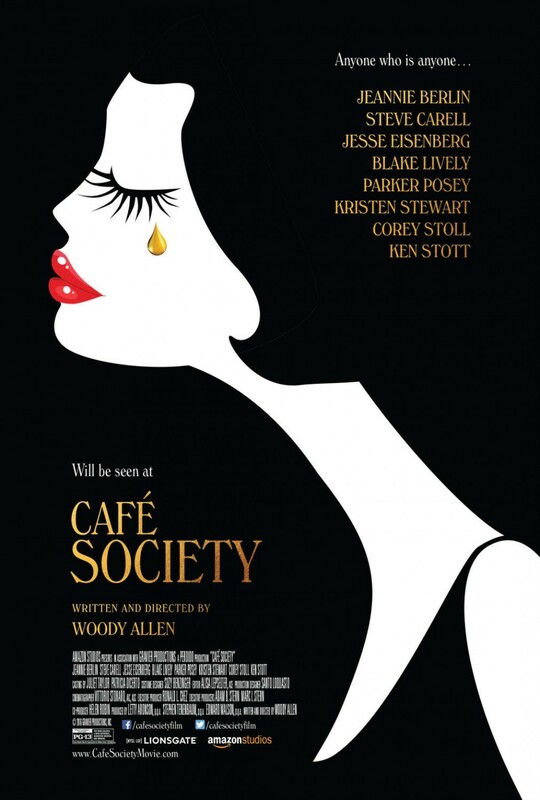 2) Café Society, and so many of his films, are modern Shakespeare comedy. Were Shakespeare around today, I don’t think he would find a WA picture alien in the least. To my admittedly limited knowledge, Shakespeare did not engage in plots any more complicated than those of Woody Allen. And it’s a delight when things are kept just complicated enough. There’s no beating around the bush in Shakespeare, nor WA. 3) Jesse Eisenberg’s role seems like WA was writing a more confident version of himself. Eisenberg has got the WA mannerisms and way of speaking down pat. 4) I guessed that Harvey Keitel was the narrator — boy was I wrong. It’s Woody Allen himself! His voice was much deeper than I usually think of it. I am often annoyed by narration in film, as with WA’s Vicky Christina Barcelona. But it works here. 5) There may be glitches here and there in WA’s mapping. For instance, “Thanks for the heads up” I believe to be an anachronism. Also, WA’s Jewish jokes seem a little out of place to me, which luckily doesn’t make them any less funny or effective. Just classic WA humor, no matter where it’s mapped. 6) Amazon Studios. An idea was posited that if Apple really wants to get serious about content creation, she should buy Netflix. I’m not sure about that idea, nor about the idea of Apple creating content. The Pixar lineage is there, though. Any case, I have mixed feelings. I suppose content creation is important, so if it makes sense, then as a stockholder I say go for it. Sometimes critics just don’t get fun films. 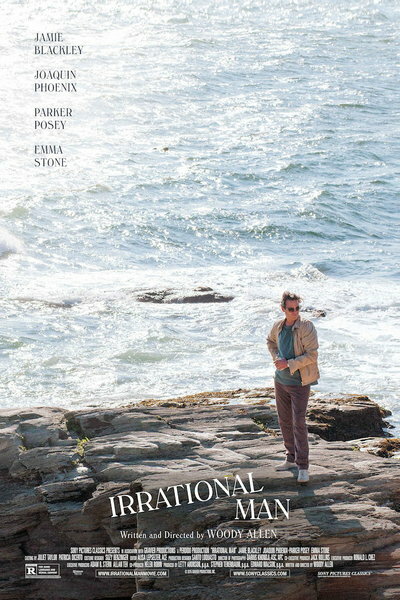 With a lame title — that I’ve now warmed to, equally lame poster art, and a Tomatometer score of 39%, I was expecting to be bored or annoyed with Irrational Man. But Joaquin Phoenix intrigues me, and so does Woody Allen, and Emma Stone doesn’t hurt the cause — so I decided to give it a shot. Next, John Turturro wrote and directed Fading Gigolo, which, surprise surprise, features Woody Allen acting in a film that, watching the preview, I assumed was a Woody Allen film — it had that comic flavor. 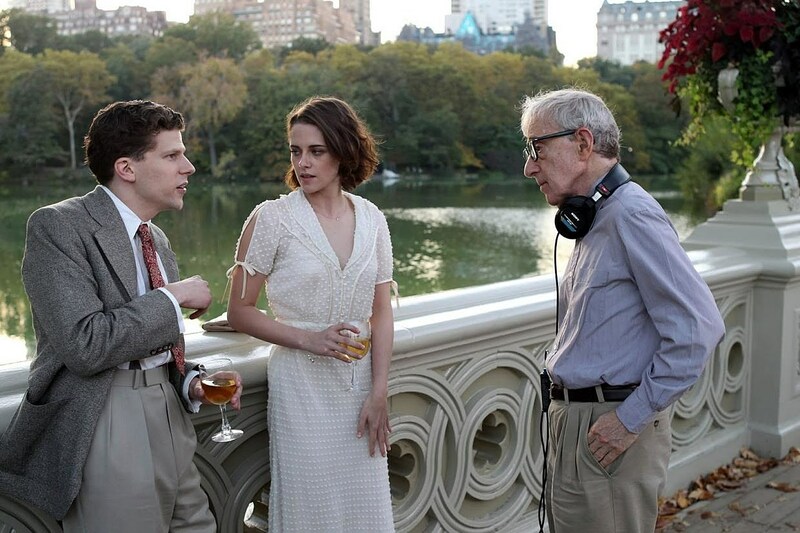 VERY unusual to see Woody Allen acting — or indeed involved at all — in a film he did not make. It looks a little silly and simple, but it could be fun. And then there’s the ever-inceasingly-ballyhooed Under The Skin starring Scarlett Johansson — this indie is making such a splash that the local, very mainstream, very commercial classic rock station’s DJ just mentioned it. As you can see at its site, it has received a lot of advance critical praise. Here’s hoping all three of these indies offer big entertainment value. 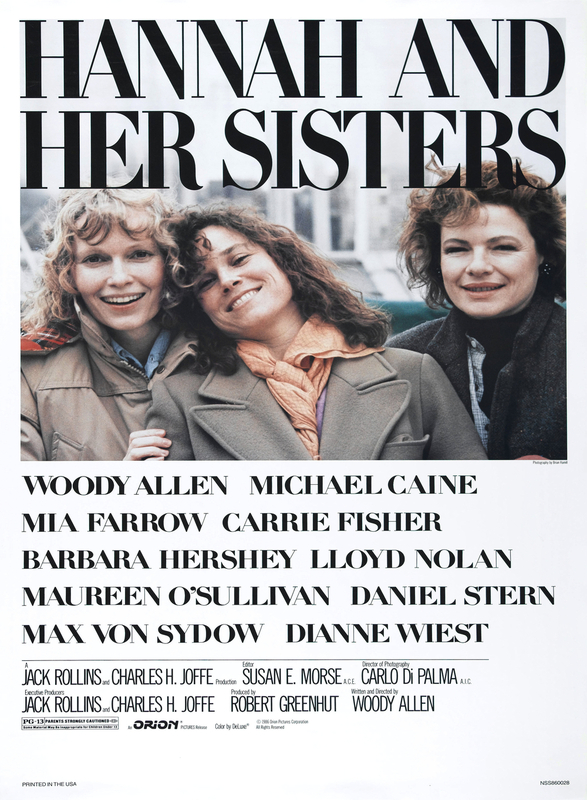 Watching this slideshow makes me realize how few Woody Allen films I’ve seen. He’s certainly a mixed bag, with, for example, Vicky Cristina Barcelona — equally as lame as its title — on the low end, and on the high end wonderful, quintessential Allen pieces like Manhattan. And between those poles there’s a lot of marginal, fair, or serviceable material such as Midnight in Paris and Celebrity. Nonetheless, I’m keen to view his more acclaimed work, and for a long time I’ve wanted to watch his musical Everyone Says I Love You. I’ll have to keep waiting on that one, as it is not available for rental through any of the standard sources. Blue Jasmine is about a woman in crisis, or more specifically, a woman at the precipice. Jasmine (Cate Blanchett) is used to a life of wealth and privilege, and is suddenly confronted with losing everything. She is not an entirely sympathetic character, and there are a couple clunky aspects to the storytelling, but I found Blue Jasmine to be an interesting and compelling dramatic turn for Woody Allen. The riches-to-rags story may be thought of as a modern take on Sense and Sensibility or Howard’s End, as well as a commentary on the way a change in material comfort can knock a fragile personality out of balance. Or put more simply, it’s like watching a fish squirm about after being dragged on deck of a boat. I liked Cate Blanchett in this, but a surprising strong point of the film were its supporting performances — notably that of Sally Hawkins as her sister Ginger, and Ginger’s ex-husband Andrew Dice Clay. After watching the preview some months ago [prior post], I was not expecting to like this film much. But Blue Jasmine succeeds. It struck me on an emotional level in a way quite removed from Allen’s common tongue-in-cheek or lighthearted tone as recently exemplified in the marginal Midnight in Paris. The actress, like her character, is out on a limb much of the time, but there’s humor in Blanchett’s work, and a touch of self-mockery as well as an eloquent sadness. When she drops her voice to its smoky lower register, we know that she’s teasing the tragic mode. That edge of self-parody keeps us close to her, and we need that closeness, because we’re in for a rough ride.